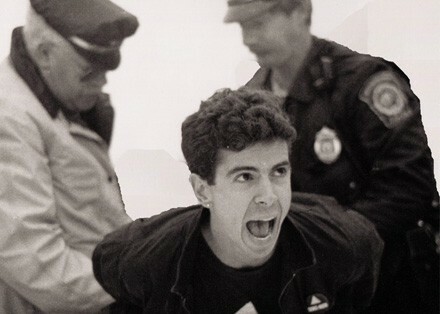 ACT UP (the AIDS Coalition to Unleash Power) may have lodged itself in the public consciousness with its angry publicity stunts—disrupting a broadcast of the CBS Evening News, invading a mass at St. Patrick's Cathedral in New York—but as this documentary reveals, the organization may have been most impressive for its disciplined mastery of medical fact and public health policy. Director David France chronicles the chaotic history of ACT UP (and its splinter organization, Treatment Action Group) from March 1987, when it was founded by playwright Larry Kramer, through the 1996 medical breakthrough that now enables people to live with HIV/AIDS. Of course, on a global scale the story is far from over, but France, drawing on a wealth of video footage from inside the organization, turns that decade of rage, despair, and tenacity into an inspiring tale of effective political action.